Children at OGPS have access to a specialist Computing Teacher, who works with each class every week. The school has lots of resources to help teach computing including a suite of 30 laptops, two sets of netbooks that go into classrooms to support ICT in the curriculum, a set of iPads and a set of Learn Pads, plus more! As well as lessons, we have a computing club after school and children can earn a pass to gain access to the computers at lunchtimes. 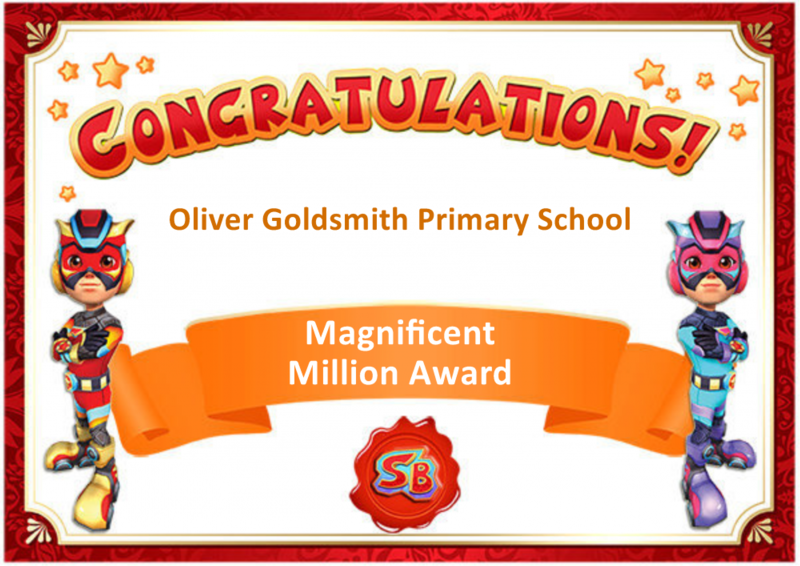 Our children love using Skoolbo UK and currently the school has achieved the ONE MILLION correct answers award!